Sahar Nowrouzzadeh, a State Department official who was instrumental in directing policy for completing the much-criticized Iran nuclear deal under the Obama administration, has been reassigned to other duties in the State Department by the Trump administration which has generated a flurry of lobbying activity by the Iran lobby. The National Iranian American Council organized an effort to denounce the move in a letter sent to White House Chief of Staff John Kelly and acting Secretary of State John Sullivan even though the reassignment was made last April 2017. The genesis for this new round of false outrage though was a Politico story that discussed email conversations between administration officials calling into question her political loyalty. In essence, the NIAC and its brethren were objecting to that age-old political practice of “cleaning house” when a new party and administration comes to power. Where was the NIAC’s outrage when the Obama administration led its own purge of Bush-era appointees and installed its own loyalists in key civil service positions at the end of its own term to ensure policies were continued in spite of the new Trump administration’s move in? To say the NIAC’s outrage is silly is an understatement. Every president reserves the right to pick and choose whomever he likes to serve and carry out his policies. Every president is also entitled to move or reassign any federal employee that does not wish to carry out that administration’s policies. It is no different for someone like President John F. Kennedy taking over for Dwight D. Eisenhower or Bill Clinton taking over for George H.W. Bush. But in the twisted logic of the NIAC, it seems even that most basic of presidential prerogatives is off-limits when it comes to keeping a trusted ally in the heart of policy-making when it concerns the Iranian regime. In the case of Nowrouzzadeh, her involvement in policy towards Iran under the Obama administration has been well-documented. Born in the U.S. to Iranian parents, Nowrouzzadeh has worked in various government capacities including the Defense Department in 2005 as a foreign affairs analyst and later the State Department in a similar capacity. She later joined the Obama White House in the National Security Council as a director for Iran and part of the team responsible for the Iran nuclear deal. What raises the suspicions of many though was her prior stint working for NIAC which seems to have been purged from her bios and NIAC’s public records. Why? Obviously, association with the Iran lobby group can be fatal to a career civil servant’s future job prospects and it has been in Nowrouzzadeh’s case. Also, her key involvement in crafting an agreement that President Trump has openly derided also has proven disadvantageous. While the reassignment is common in new administrations, the furor is not as the NIAC has chosen to use her as a stalking horse for attacking the Trump administration yet again as ardent Iran-haters and racists. It is sad to see the NIAC elevate her case and drag her through the public mud in order to score political points over an action that every incoming president undertakes throughout history. What this does reveal though is NIAC’s willingness to cast any stone in wild attempts to attack the Trump administration in some blind hope of slowing down the freight train of change barreling towards the Iranian regime. Its struggle to deny democratic protests sweeping through Iran and bolster the fraudulent regime of Hassan Rouhani have only proven to news media how out of touch NIAC is with current events. Oddly enough, Nowrouzzadeh could have settled this entire unhappy episode herself by simply advising President Trump’s incoming foreign policy team on the best methods for improving the nuclear agreement she had just worked to implement. If you want to show your non-partisan, unbiased credentials, then all one has to do is provide the other point of view. In her case, and because of the effort by NIAC to leverage her reassignment, the sad truth is that policy making in the State Department became highly politicized under the Obama administration, especially towards Iran. Her reassignment is only the tip of the iceberg since if President Trump is going to finally hold the Iranian regime accountable for its support of terrorism and unbridled human rights failures, he will most likely need to reassign many more Nowrouzzadehs and that is the future that NIAC is terrified of. It’s no secret that while the Iran lobby was busy promising more moderation and accommodation from the Iranian regime during nuclear talks two years ago, the mullahs in Tehran were busy working over their calculators figuring out what they were going to buy with their newfound cash coming from relief from economic sanctions and the bonus of billions coming from a prisoner swap with the U.S. 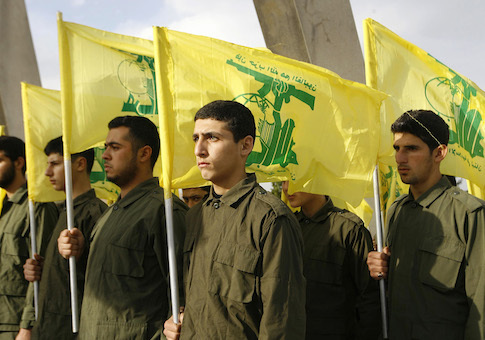 Since the completion of the deal, the Iranian regime has been busy replenishing its military which was drained from years of fighting in Syria and Yemen, as well as supplying its proxies with weapons and ammunition including Hezbollah, Shiite militias and the Houthis. More worrisome though is analysis indicating that Iran has sought to not only rebuild its military, but transform it primarily from tactical, regional actions to a more strategic, offensive posture posing a menacing threat to its neighbors, especially long-time rivals Saudi Arabia and the Gulf states. Regime leaders have stated since the Iran deal was enacted that they are using the massive amounts of cash released under the agreement to fund the purchase of new military equipment and other armaments. Iran also has pursued multi-million dollar arms deals with Russia since economic sanctions were nixed as part of the deal, according to the Washington Free Beacon. The regime has also escalated its attempts to demonstrate additional military capabilities including the launching of ballistic missiles. 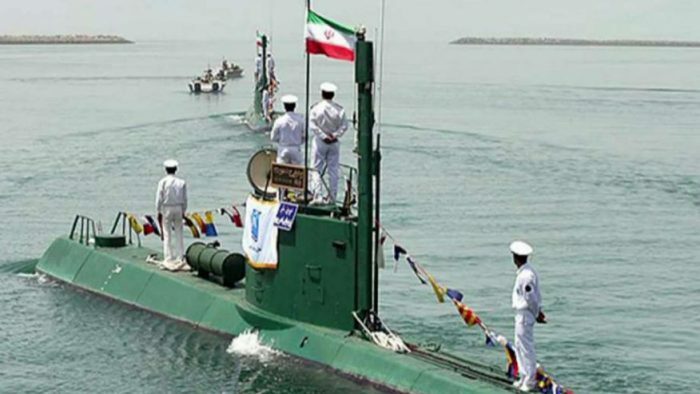 Another sign was an Iranian Yono-class “midget” submarine attempted to launch a cruise missile from the Strait of Hormuz on Tuesday, according to U.S. officials. The only two countries in the world that operate this type of submarine are Iran and North Korea. The test launch was not successful, reported Fox News. Iran had previously announced it had successfully tested a sea-launched missile and it is not known if this was the first actual submarine launch of the weapon. 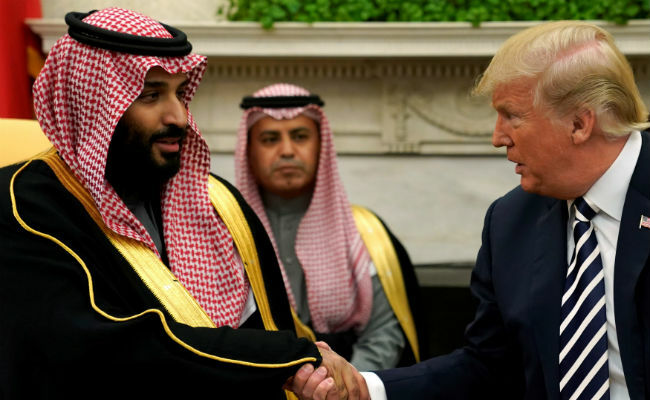 The increase in military activity and emphasis on first-strike weapons and tactics is leading many to speculate what path the Trump administration will pursue to stymie the mullahs. Much crystal-ball gazing has been going on lately, not the least of which coming from Iran lobby members such as the National Iranian American Council who hope to shape the narrative much as it did during the nuclear negotiations. 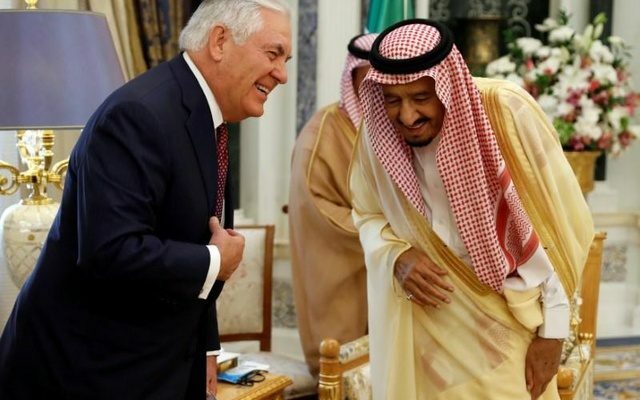 Secretary of State Rex Tillerson said last month that Iran is complying with the terms of the 2015 nuclear agreement. The positive finding of the State Department’s routine periodic review of the nuclear agreement, known formally as the Joint Comprehensive Plan of Action (JCPOA), was surprising given President Trump’s assessment that it was “the worst deal ever negotiated.” Some analysts believed Tillerson was signaling that the Trump administration would let the agreement stand rather than “rip it up” as the president had promised. But according to James S. Robbins, a member of USA TODAY’s Board of Contributors, who served as a special assistant to the secretary of defense in the George W. Bush administration, there is something deeper going on. The key language in Tillerson’s statement dealt with the National Security Council’s inter-agency review to determine whether continued suspension of the sanctions is “vital to the national security interests of the United States.” This phrasing points to the key weakness in the structure of the deal, said Robbins. “In addition, previously secret aspects of the deal have begun to be revealed, such as the Obama administration freeing Iranian prisoners accused of major crimes related to the nuclear and missile programs. These shady aspects of the bargain make it easier for the Trump administration to make the political case against it, which Americans opposed by wide margins to begin with,” he added. If the National Security Council determines that Iran’s activities are not in U.S. national security interests, the president can lift the sanctions waivers. This puts Iran in a bind. Tehran has threatened it could restart its nuclear program “in a new manner that would shock Washington.” But if Iran chooses openly to violate the terms of the deal, this would activate the agreement’s Article 37 “snap back” mechanism which restores all the pre-JCPOA international sanctions. The only way the “snap back” would not happen is if the UN Security Council votes otherwise, but the United States could veto any resolution that keeps the deal alive, according to Robbins. This puts Iran in a lose/lose position: accept renewed and potentially tougher U.S. sanctions while staying within the framework of the JCPOA; or breach the deal and suffer the “snap back” consequences. Of course, Iran could just attempt to go full-bore to develop nuclear-armed missiles as quickly as possible and hope for the best. But the developing crisis with North Korea should be instructive to Tehran. The Trump administration is less willing than its predecessors to accommodate or ignore the nuclear ambitions of rogue states. All of which places the Iranian regime squarely in the sights of the international community for the first time in nearly four years when Iran was dragged unwillingly to the bargaining table because of the effectiveness of previous sanctions. We shouldn’t let this opportunity slip away like the last one. There is no doubt that President Donald Trump is a polarizing figure and has become a lightning rod for criticism for everything ranging from his affinity for tweeting to his policies such as his roll back of regulations and imposition of a temporary moratorium on visas from several countries in the Middle East. 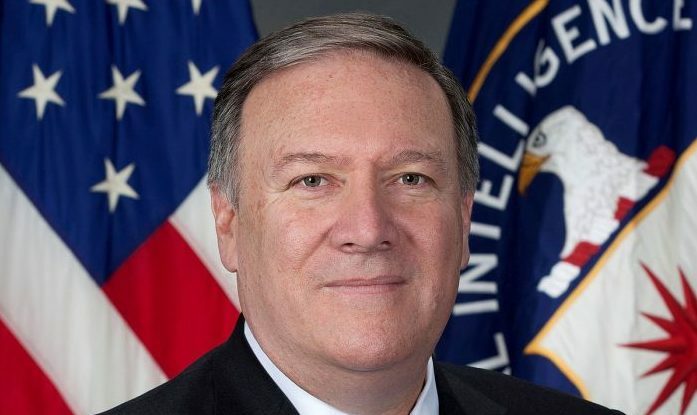 The jury is still out on much of his agenda since he has yet to collaborate with Congress to bring forth specific legislative proposals, but that has not stopped the torrent of criticism being directed at him by the Iran lobby as it works to oppose anything that might be perceived as upsetting the goals and plans of the mullahs in Tehran. This was true when Iran lobby advocates such as the National Iranian American Council’s Trita Parsi blasted Trump’s decision to impose fresh sanctions on members of the regime’s Revolutionary Guard Corps for its support for ballistic missile launches that violated United Nations sanctions. 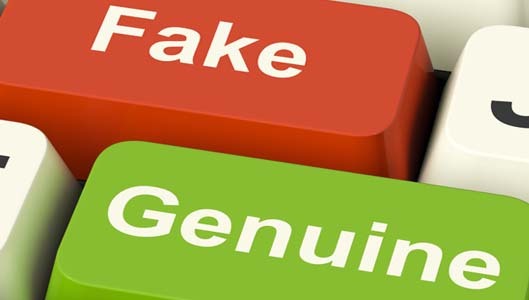 It has also been true of the Iran lobby’s efforts to deflect attention away from the Iran regime’s litany of problems at home with increasing mass demonstration and protests to issues abroad as it encounters growing calls for resistance amongst its Sunni neighbors such as Saudi Arabia and the Gulf States; alarmed at the turmoil surrounding them caused by the Iranian regime. The Iran lobby has been particularly focused on the debate over Trump’s immigration policies leveraging it to its advantage to raise funds and maintain its ties to progressive Democratic groups that it previously aligned with in the efforts to support the Iran nuclear deal. The reasons for these efforts are simple: In a post-Obama world, the Iran lobby is desperately trying to stay relevant. Since the electoral sweep that not only saw Trump elected, but also radically changed the complexion of the Congress, the Iran lobby has been on the defensive ever since. 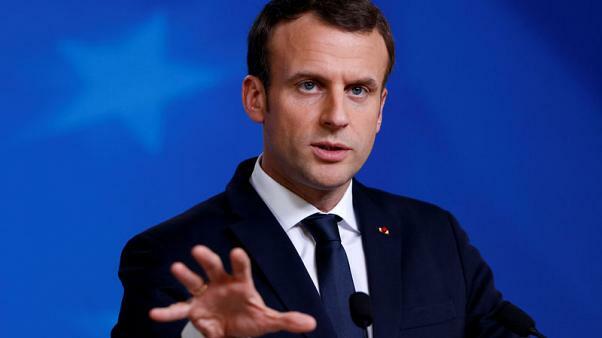 It has found little support within the much-vaunted “echo chamber” of support previously cobbled together to help push for negotiations with the regime. Iranian regime’s ever growing militant actions in launching ballistic missiles, supplying proxy wars in Yemen and Syria and flexing its military muscle in expansive war games have proven to be almost impossible for the Iran lobby to defend. 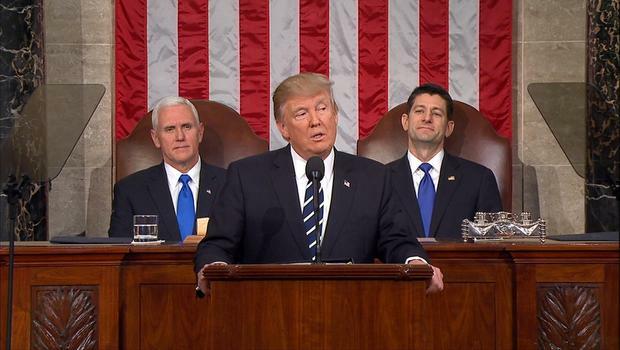 Predictably, after President Trump’s first address to a joint session of Congress, the NIAC’s Jamal Abdi sent out a statement criticizing the speech, but in his criticism he revealed the bias and hypocrisy of the NIAC and the Iran lobby. Abdi makes the claim that “no Iranian has ever been implicated in a terrorism-related death inside America,” which is a convenient distinction since it ignores the fact that the Iranian regime has been directly responsible for the deaths of hundreds of Americans in terrorist attacks in Beirut, Lebanon, the Khobar Towers in Saudi Arabia and in IED attacks throughout the Iraqi war. In each case, Iranian regime controlled, supplied, participated or directed the attacks directly resulting in the deaths of Americans. In fact, several court decisions have held the Iranian regime responsible for these deaths and injuries and confiscated financial assets of the regime as part of court settlements to the victims and their families. Abdi also fails to mention the violence fueled by the Iranian regime’s efforts to export its brand of extremist Islamic vision that has sparked sectarian violence between Sunnis and Shiites all across the Middle East, including the Syrian civil war, the Houthi coup attempt in Yemen and the expansion of ISIS arising out of the dissolution of the coalition government in Iraq. All of these debacles were fueled by the Iranian regime and have cost the lives of hundreds of thousands of men, women and children and Abdi and his colleagues have remained stonily silent. But the hypocrisy of criticizing Trump’s policies while ignoring the much harsher realities of the regime’s policies echoes the same treatment given by regime foreign minister Mohammad Javad Zarif who lauded the protest by Iranian filmmaker Asghar Farhadi who won the Oscar for best foreign film against Trump’s immigration policies, yet at the same time did not acknowledge the regime’s imprisonment and torture of several prominent Iranian filmmakers for engaging in acts against the Islamic state. The rank hypocrisy of the Iranian regime and Iran lobby was taken to task by prominent journalists such as CNN anchor Jake Tapper and Human Rights Watch. “In the aftermath of the 2009 presidential elections, authorities arrested Jafar Panahi, a prominent director, for allegedly attempting to make a movie about protests that followed the vote. In December 2010, Tehran’s revolutionary court sentenced Panahi to six years in prison and a 20-year ban on all his artistic activities. Following international outcry, the government did not execute Panahi’s sentence but kept the ban in place, forcing him to make movies without an official permit,” Whitson added. “These filmmakers could serve as powerful messengers for the diversity and talent in Iran today. But until the authorities stop censoring and imprisoning them, they put into question the Iranian government’s expressed commitment to supporting the country’s millennia of “culture & civilization,” she warned. Another weekend and another round of aggressive military actions from the Iranian regime greeted the world. The mullahs engage in regular acts of defiance on a schedule as predictable as North Korea it seems. The latest episode involves the regime’s announcement of another series of military war games by the Revolutionary Guard Corps with the first phase kicking off on Monday with the launching of a series of rockets and missiles. “Today, various classes of smart rockets with pinpoint accuracy were successfully test-fired, which showed the power of the Islamic Republic of Iran,” Brigadier General Pakpour told reporters on Monday. The type of rockets and missiles used were not disclosed, but the regime has been actively launching ballistic missiles of various types over the past several months, earning sharp rebukes from the international community and the U.S. in particular as violations of sanctions imposed by the United Nations Security Council. The maneuvers are scheduled to last three days and are dubbed “Grand Prophet 11.” Pakpour said that some unspecified rockets, the IRGC’s drones, and artillery would also be used during the exercises. The military drills will be held despite warnings from the United States and the implementation of new sanctions by Washington over a ballistic-missile test conducted by Iran on January 29. “Iran would do well not to test the resolve of this new president [Donald Trump],” U.S. Vice President Mike Pence said earlier this month, as the new Trump administration had announced that it had put Iran “on notice” after the missile test last month. The ramp up in military actions, followed by threats of sanctions and retaliation have set a volatile stage for the Iranian regime in which its usual repertoire of threats followed by more threats may finally fall on deaf ears of an U.S. administration appearing to be more resolute in confronting the regime rather than appeasing it. It also follows a new Congress which seems eager to push forward new sanctions after being held off by the Obama administration the past several years. Sen. Lindsey Graham (R-S.C.) revealed plans Sunday to introduce legislation that would impose further economic sanctions on Iran, according to a Reuters report. Graham, a member of the Senate Armed Services Committee, mentioned the plans for increased measures during a panel discussion at the 2017 Munich Security Conference. “I think it is now time for the Congress to take Iran on directly in terms of what they’ve done outside the nuclear program,” Graham said. Graham said he and other senators would be introducing a measure to hold Iran accountable for its actions, Reuters reported. James Jones, a former Supreme Allied Commander in Europe and President Barack Obama’s first national security adviser, told a separate event in Munich that he remained convinced that sanctions had persuaded Iran to negotiate the 2015 landmark deal with six world powers to curb its nuclear program. Regime Foreign Minister Mohammed Javad Zarif, who also attended the Munich Security Conference, said Iran doesn’t “respond well” to coercion and threats. “We don’t respond well to coercion. We don’t respond well to sanctions, but we respond very well to mutual respect. We respond very well to arrangements to reach mutually acceptable scenarios,” Zarif said on Sunday, according to an AP report. It’s a curious statement for Zarif to make since the Iranian regime has done everything but act respectfully towards its neighbors and the rest of the international community. It’s doubtful the government in Yemen would find Iranian regime’s supplying of Houthi rebel forces a respectful act, nor would the vast majority of Syrian civilians who have endured a savage conflict at the hands of the IRGC’s Quds Forces and Hezbollah fighters find that a respectful act as well. 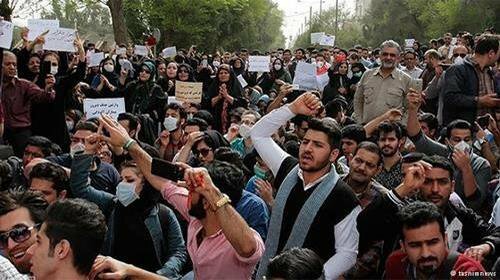 But the pressure the mullahs are feeling from a new American administration has only compounded the pressure mounting from within Iran as they struggle with growing protests and environmental crises made worse by gross mismanagement. According to the New York Times, days of protests over dust storms, power failures and government mismanagement in one of Iran’s most oil-rich cities subsided on Sunday after security forces declared all demonstrations illegal. The region around Ahvaz is a center of oil production in Iran, and since economic sanctions were lifted, Iranian people had hoped for changes to renovate the worn-out water and electricity instructures and fix deepening ecological problems. With the ruling theocracy in Iran continuing to poor the country’s resources in to the Syrian war, supporting Yemeni’s Houthis, violent militia groups in Iraq, development of Ballistic Missiles, the pressure will only mount and similar to how North Korea has handled persistent starvation, the Iranian regime will not flex its military muscles in an effort to divert attention from the misery of the Iranian people.